A suicide bomber drove an explosives-laden car into an Iraqi army check point in western Baghdad, killing six people and injuring 20 on Friday morning, officials said. 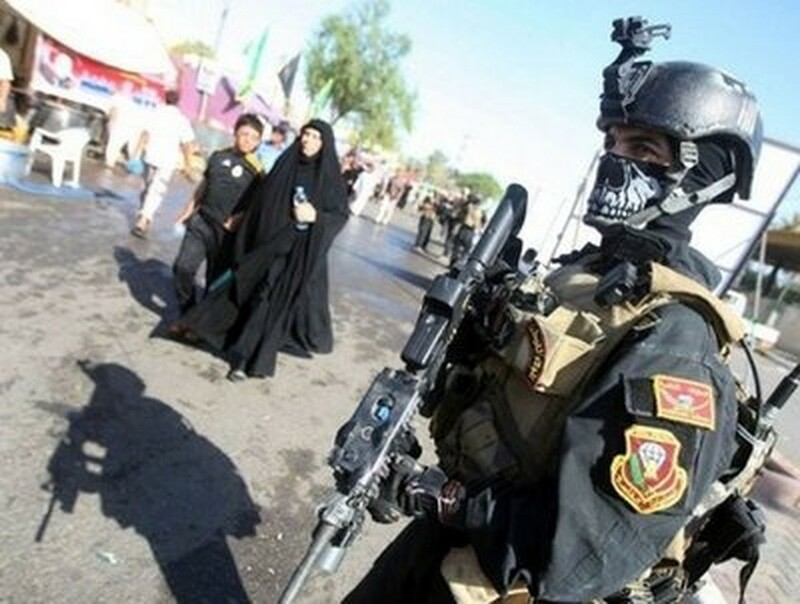 Although violence in Iraq has subsided significantly in the past years, members of the security forces are still frequently targeted by insurgents seeking to stoke sectarian tensions. There are also concerns such attacks could increase amid a political deadlock four months after an inconclusive election and just weeks before U.S. troops begin heading home. Police and hospital officials said three Iraqi soldiers and three civilians were killed in the early morning attack that occurred when the bomber detonated a car bomb in the predominantly Sunni neighborhood of Ghazaliyah. Officials said 20 people were also wounded in the blast and taken to Baghdad's Yarmouk hospital. The officials spoke on condition of anonymity because they are not authorized to speak to the media. Friday's attack comes after almost 70 people were killed in suicide bombings and roadside bombs targeting hundreds of thousands of Shiite pilgrims who converged on the Iraqi capital to commemorate the death of a revered Shiite holy man, buried in Baghdad Kazimiyah neighborhood. The bloodshed comes at a time when Iraq's nascent democracy is particularly vulnerable as officials jostle for power while struggling to ensure security and stability. Four months after the March 7 election produced no clear winner, Iraq's two main political rivals — current Prime Minister Nouri al-Maliki and his main challenger Ayad Allawi, who narrowly won the parliamentary vote — are locked in a bitter power struggle. With a July 14 constitutionally-mandated deadline to select a new government approaching without a solution in sight, the political uncertainty in Iraq is providing the militants with greater opportunity to strike. On Thursday, three separate roadside bombings in eastern and northern Baghdad, left 14 people dead and at least 63 wounded, Iraqi hospital and police officials said. A car bomb in southern Baghdad killed another person. The incidents followed a particularly gruesome night in which nearly 60 people were killed in a series of attacks late Wednesday that marked the worst violence since late April. The deadliest was a suicide bombing that killed 35 people and wounded more than 100, when the bomber struck pilgrims as they were about to cross a bridge from the mostly Sunni neighborhood of Azamiyah into the predominantly Shiite area of Kazimiyah. The deadlock between al-Maliki's State of Law party and Allawi's Iraqiya party prompted a visit last week by Vice President Joe Biden, who tried to bring the parties together to form a government. But al-Maliki is in a tight spot. Along with finding common ground between the two parties, he also must appease powerful Iranian-backed Shiite parties, like those headed by anti-American cleric Muqtada al-Sadr and the Iraqi National Alliance. Both al-Maliki and Allawi must also win the support of the influential Kurds, who hold the presidency and seek greater autonomy in Iraq's oil-rich north. The attacks on pilgrims and security forces of the past days bear the hallmark of Sunni insurgents in Iraq. And while they pale in comparison to attacks in previous years, the bloodshed has raised fears the sectarian violence that had Iraq teetering at the brink of civil war in 2005-2007 could be reignited as the U.S. brings down the number of troops in the country to 50,000 by the end of August.